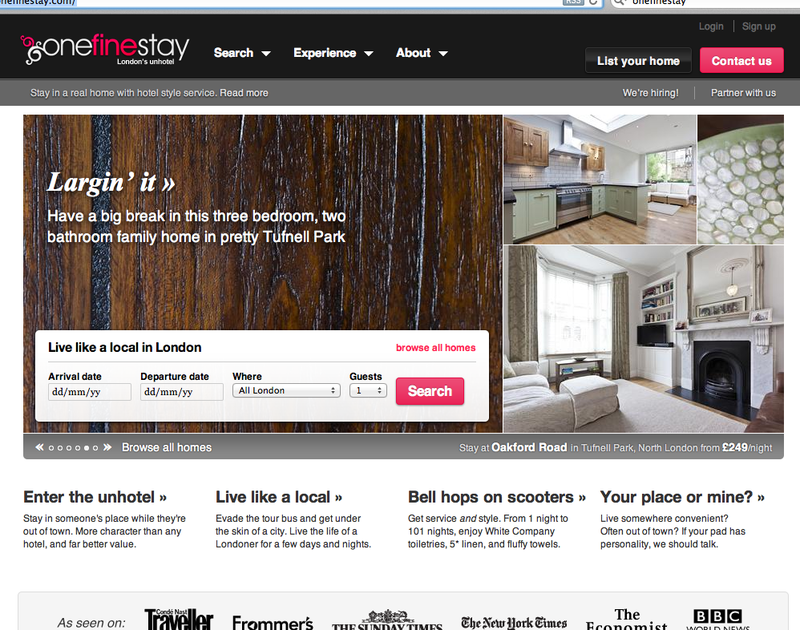 Onefinestay.com : Live like a Londoner ! – A TAVOLA ! Onefinestay.com : Live like a Londoner ! A quick post ! To let you know of a great new website where you will find the perfect apartment or house to stay when visiting London. This is called Onefinestay and really hosts a couple of gems fully serviced. Much better then staying in an hotel which I have found quite difficult and over expensive in london. They are for now only covering London but planning to rapidly expand across the UK and possibly Europe. So stay tuned and enjoy your stay. May we save GREECE !